Most of the time when I make jerky, I cook it in my smoker. Cooking jerky in a smoker tastes better to me than cooking jerky in the oven but if it is windy or nasty outside, the oven can work in a pinch. 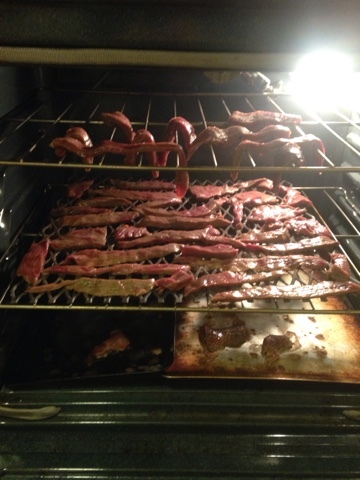 The first step to cooking jerky in the oven is to slice the jerky very thin. To do this, I use a 6 inch fillet knife. I make sure the knife is very sharp to make sure the meat is cut as thin as possible. When you slice the meat, make sure you cut with the grain of the meat and not against it. This will make your jerky peel apart like the store bought kind. 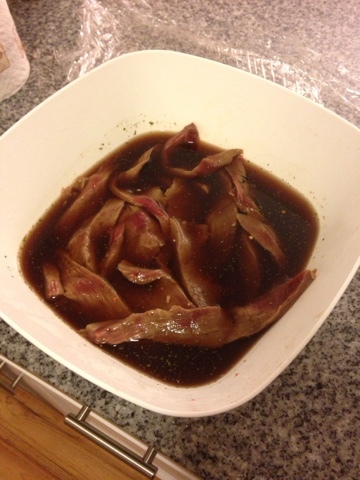 The second step in cooking jerky in the oven is to marinade the strips of meat. To do this, you can buy the marinade or make your own. If you want to buy a marinade kit, you can find them at most hunting stores. A kit can be purchased for 6 or 7 bucks. If you decide to make your own, you will save some money. I like to use a mixture of soy sauce and balsamic vinaigrette. I will add equal parts of each item. I make just enough to cover the meat. Other spices can be added to make the mixture your own. Once the meat is marinaded adequately, it is time to cook the jerky. 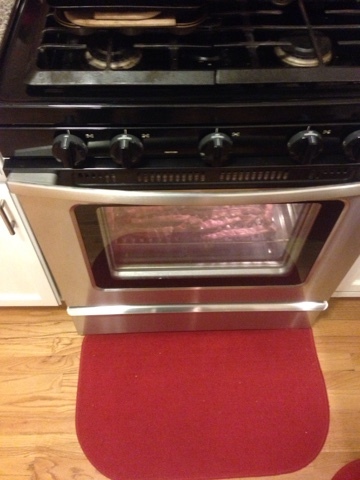 The key to cooking jerky in the oven is to cook the meat at the lowest temp that your oven can go down to. You are trying to dry the meat rather than cook it. Drying the meat makes jerky and cooking it makes steak. I like to crack the oven just a bit to help the drying process either further. The drying process takes me about 2 hours at 200 degrees. Once the meat is dried the way that I like it, I crank up the oven to 350 to bring the meat up to the correct temp. The salt in your mix should be enough to kill any bacteria but it is a good idea to bring up the temp of the meat to the correct temp. This number changes all the time so please look up what it is at that time. Once the jerky is at the correct temp, it is time to sample a few pieces. Jerky is good any time but it is especially tasty right as it is cooked. After the sampling is done, take the jerky out of the oven to cool down. I let mine cool down to room temp for a few hours before putting it in a plastic bag and in to the fridge. 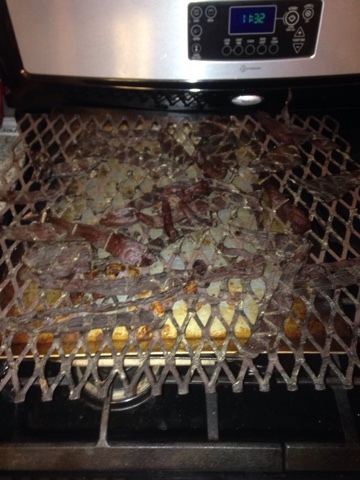 Cooking jerky in the oven is a very easy way to make tasty jerky. I made up a batch of venison jerky last fall from a deer I harvested. It did not last long!